Get visual training and learn how to implement computer vision solutions in C#.NET easily. The following tutorials describe how can you create features of computer vision. Check out the tutorials to learn more about computer vision, frame capture from camera, motion recognition and other exciting topics. Click 'Play' for watching! C# Computer Vision tutorial #1 - What is Computer Vision? This video demonstrates what Computer Vision is and gives a short review why it is worth using Ozeki Camera SDK for C# computer vision developments. It is the best place to start if you want to find out all about the Computer Vision features and if you would like to learn more about the software development kit that enables you to implement these features. 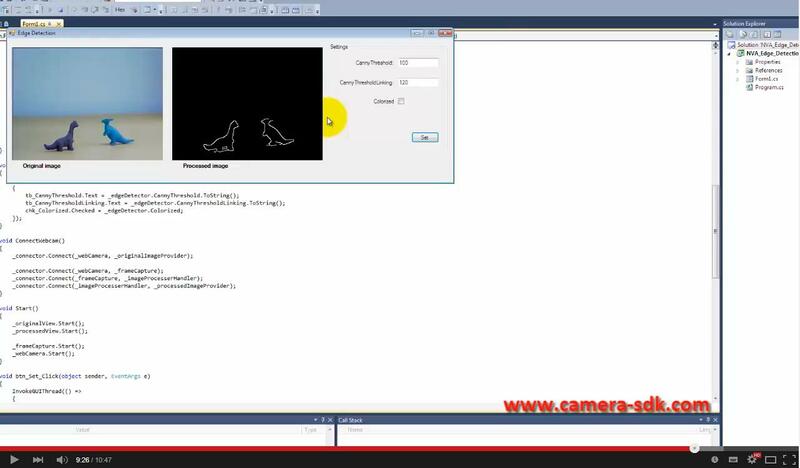 This video shows what is Frame capture.You can see a step-by-step tutorial on how can you create frame captures from a USB camera using C#. You will see how you can download Ozeki Camera SDK, then how you can integrate it into Visual Studio as a reference. This video presents how you can build your own Tripwire application in C#. In this step-by-step tutorial you can learn how to recognize motion with tripwire. You will see how you can download Ozeki Camera SDK, then how you can integrate it into Visual Studio as a reference. 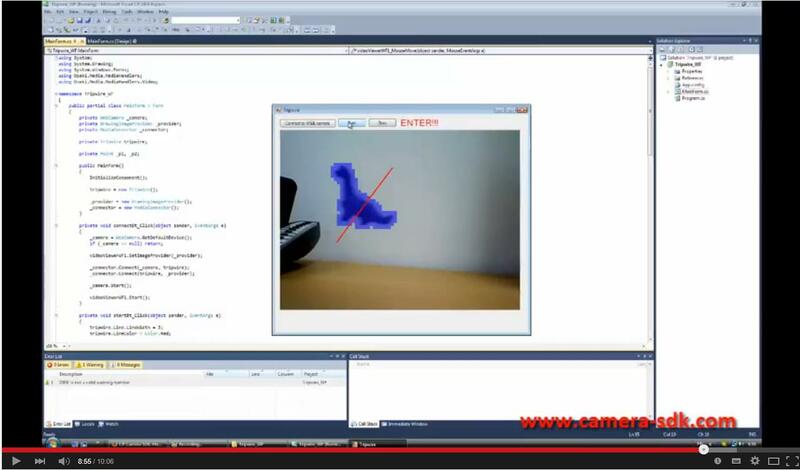 In this video you can learn how to create an edge detecting application in C#. In this step-by-step tutorial you can learn how to detect edges on the image of the camera. This video displays how you can download Ozeki Camera SDK, then how you can integrate it into Visual Studio as a reference. 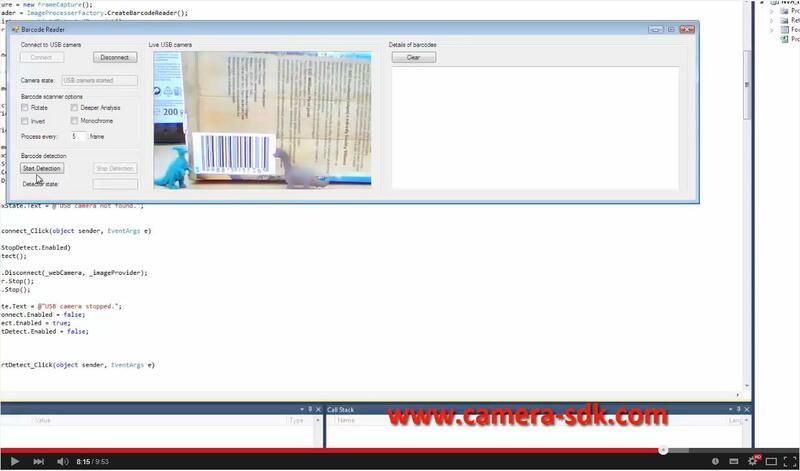 This video guide shows you how to create a barcode scanner application using a USB camera in C# to get the most out of your device. 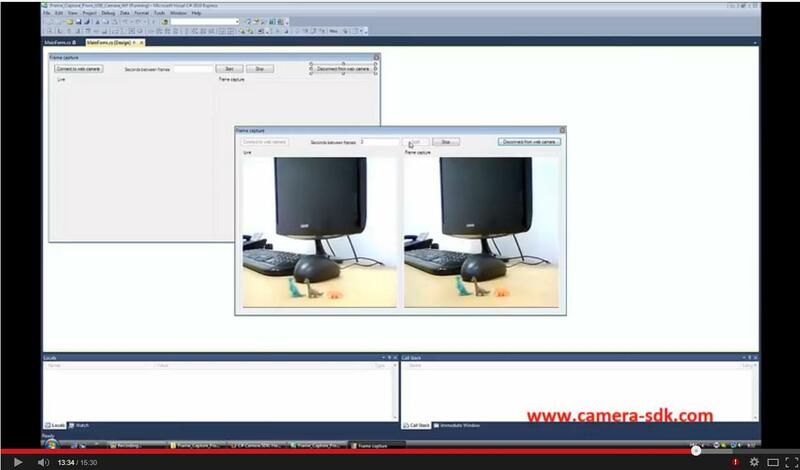 In this step-by-step tutorial you can learn how to scan barcodes with a USB camera. You will see how you can download Ozeki Camera SDK, then how you can integrate it into Visual Studio as a reference. Video- What is Computer Vision?